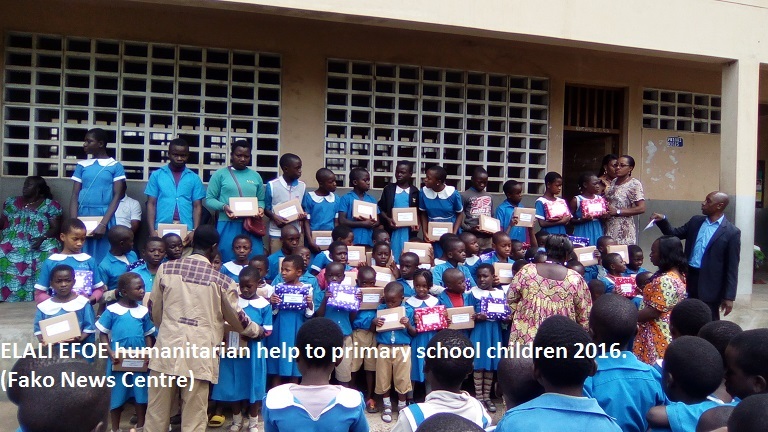 While presiding over the event, Ms Mbua told the pupils that there are many rich people around them who have amassed wealth but have never bordered to share with others what they have, especially the needy. 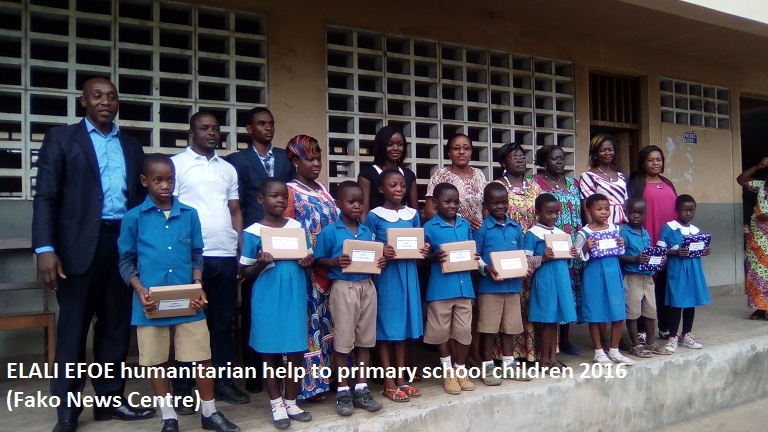 She therefore called on them to emulate the example of Mola Elali who has sent money for prizes to buy text and exercise books to encourage them to perform well in school. According to her, they can only translate the benefits they are receiving from Mola Elali positively by striving to succeed so that they can come back to contribute to the growth of the school and communities. 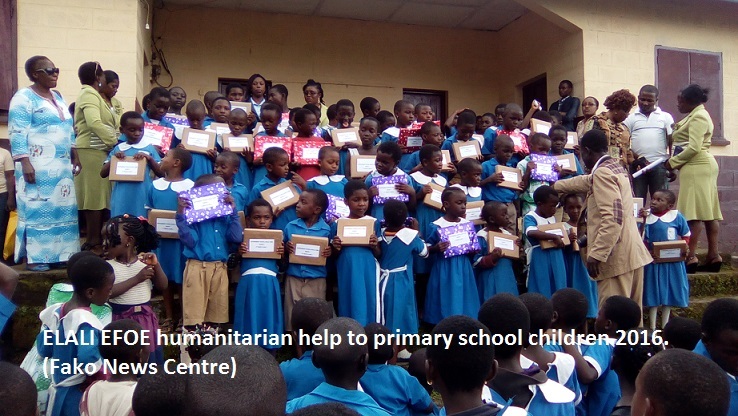 The Head Teacher of Group I of the school, Mrs Mokenge, told the pupils that they can only develop the spirit of giving if they start sharing whatever they have today with their fellow mates. 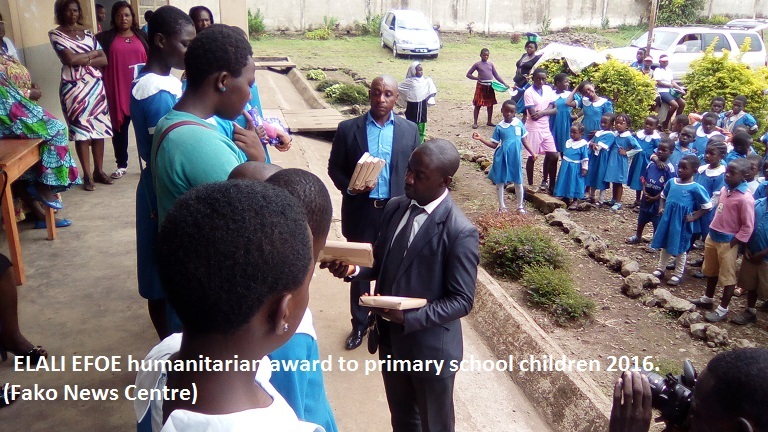 She maintained that it is at this level that they can start building a charitable mind like Mola Elali Efoe who has in the past years bought books to support pupils of the school. On their parts, the parents and the president of the Parent Teachers Association (PTA) thanked the donor for his gesture and promised to continue praying for his health and prosperity. Members of the team representing Mola Elali at the event were Mola Moki Mokondo, Frank Efoe (junior brother of Mola Elali) and Magdalene Tanjong. 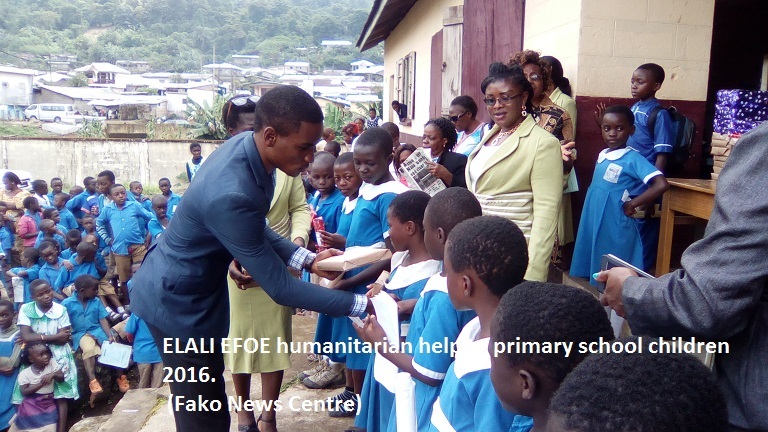 Head of the team, Mola Moki Mokondo, transmitted a message of encouragement from Mola Elali to the pupils and staff of the school. He told the students that they can only succeed through hard work and discipline. For the staff, he thanked them for the devotion and dedication they have taken to handle young people who are still to distinguish their left from the right. This is a very delicate stage of every human life that can make or mar their future, he maintained.